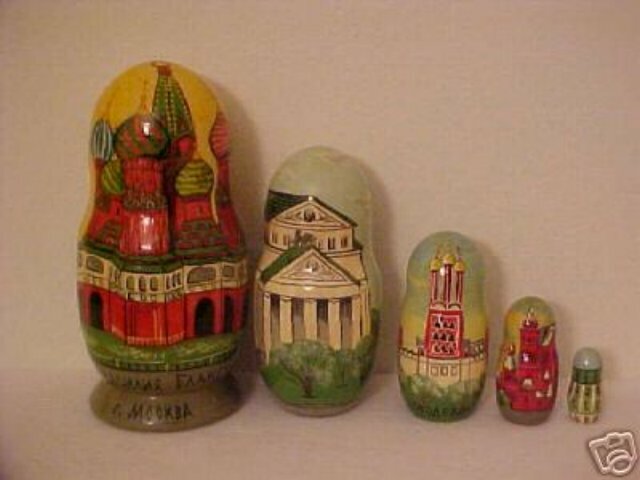 Directly from Moscow this unique doll represents Moscow landmarks. This is a very unique doll. Excellent addition to your nesting doll collection. First doll is approx. 5 1/2 inches tall.